Anyone who cycles has that one ride in their local area that is famous. The reasons for this regal status will vary but it is usually due to the challenge or the scenery. Sometimes you get lucky and find a ride that has both. 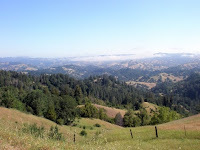 In Sonoma County, that ride is King Ridge. 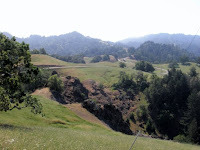 King Ridge was a local classic long before pros like Levi Leipheimer and Scott Nydum starting touting it as their favorite local ride. Levi is actually including King Ridge in his GranFondo. Whenever pro teams come to town, you can guarantee they will ride King Ridge at least once. 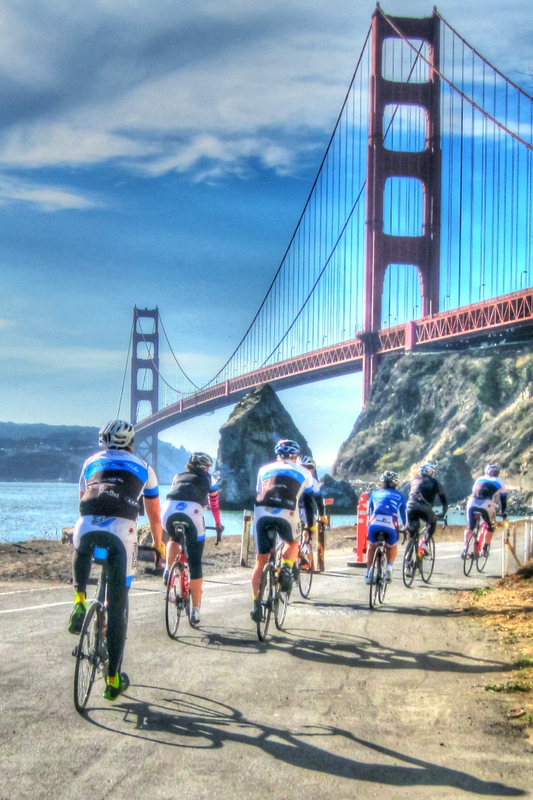 It is also listed as one of the top ten rides by the Santa Rosa Cycling Club, which has a great write up about it on their website (you should really check it out). Surprisingly, for whatever reason, this was the first time I was trying this legendary route. Before the ride I only knew 2 things about King Ridge. It was beautiful and challenging. As you can imagine, there is a lot of climbing. Of course, what else would you expect from a route with "Ridge" in its name. The day was made even better by my riding. You know how some days you're feeling it and on others you're not. So, how was I feeling as I climbed up to the ridge for the first time. In a word, strong. I rode within myself, stayed with the lead riders over the summits and just really enjoyed the challenge of the ride. Perhaps the best way to convey how I was feeling is through this conversation that occurred on the second major climb of the day. Friend - Hey! You have a triple. Friend - Have you been in it? There it was. My whole experience of the day wrapped into one short conversation. I was feeling strong. In the end, it was 55 miles of riding and over 4500 feet of climbing on gradients the exceeded 15% at times. More importantly, I never did use the triple. I will definitely ride this route again. Since a lot of us are riding in Levi's GranFondo, we plan on heading out to King Ridge at least 2 or 3 more times before October. And that's a training plan I can live with.